I've been married to a heroin user for exactly 17 yrs, he was on heroin then methadone for 16.5yrs then got clean six months ago. All through this I stood by him and believed he would get better and we could finally live our lives. He finally got clean and his personality started to change, he's become more assertive and his self esteem began to come back and then the bomb shell of him asking for us to separate. He says he still loves me, I'm his best friend and he doesn't know if this is permanent or a trial separation but he needs to get to know himself. I'm heartbroken, all that effort I've put into the marriage has been for nothing. He still comes round my house and acts like nothing has changed. Is there a transitional stage of over confidence /bad decision making after coming off drugs? Does this sound like someone who will eventually 'calm' down and see sense or is this the real him? I don't know if I should wait or get on with my life. Difficult to know what he is thinking. Wow, it's almost unimaginable that you were able to be married to a heroin addict for 17 years. The frustration of loving someone for that long and supporting them through all that you've both gone through only to have him tell you he wants to separate, is equally unimaginable. As a mental health counselor, I deal with marital issues a lot. Based on that experience, I would say that it will be difficult to know exactly what your husband is thinking, feeling and experiencing without a lot more information. Often, when this happens, the addict meets someone during their rehab process that is experiencing what they're experiencing and they form a bond based on that common experience. This is usually a bad idea, because the person they're with is also a recovering addict and not a good choice. What also commonly happens, is that they both relapse and fail in their recovery efforts together. That's why most treatment center do everything possible to avoid letting addicts form romantic relationships with each other. These relationships are usually VERY bad for both parties involved. Is this what is happening with your husband? 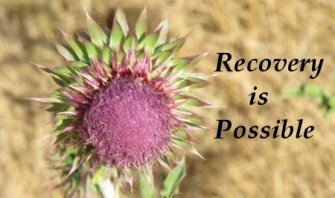 I can't say, but it might be and it's the most common thing that happens during addiction recovery. If it is happening it should be viewed as a major red flag. Your husband should be discouraged from making any major life changes until he is TOTALLY in recovery for at least a year. But how you get him to see that will likely be very difficult. Can you get in touch with his treatment counselor or sponsor and let them know your concerns and try to get their help? Also, you both could begin attending Al-anon meetings together and working the 12 steps at the same time. This may allow you to work through the issues that have come up throughout your marriage and learn how to get back on the same page.